Making idlis has been such a difficult task for me. 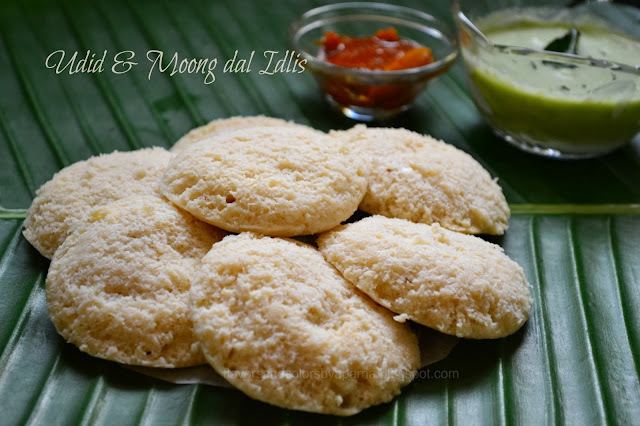 I prepared the batter every time with a hope of having soft and spongy idlis. Attempted them so many times with all the known tricks and tested tips from my family, friends as well as from different blogs but each time it has been a failure. The type of lentils and rice used, the process of grinding itself, consistency of batter, the factors responsible for fermentation, etc I couldn't pinpoint exactly what was going wrong with my attempts. I had almost stopped steaming the batter for past few months and preferred making dosas from the ground batter though its a time consuming process for me. Wash, clean and soak moong dal, urad dal [with fenugreek seeds] separately for 4-5 hours. Transfer them to mixer jar and grind them separately. Grind urad dal with required amount of water to soft smooth batter consistency. [Tip: add chilled water while grinding and also take breaks in between while grinding urad dal on mixie for 2-3 minutes till you get smooth batter, so that batter doesn't warm up and affect the fermentation process]. Remove the paste in broad vessel and keep it aside. In the same mixer jar add moong dal and grind it to fine paste. Combine this to urad dal paste, add salt and keep aside to ferment for 10 - 12 hours or till the batter rises. Make sure the vessel has enough space to allow the batter to rise. The final batter should be thick in consistency. 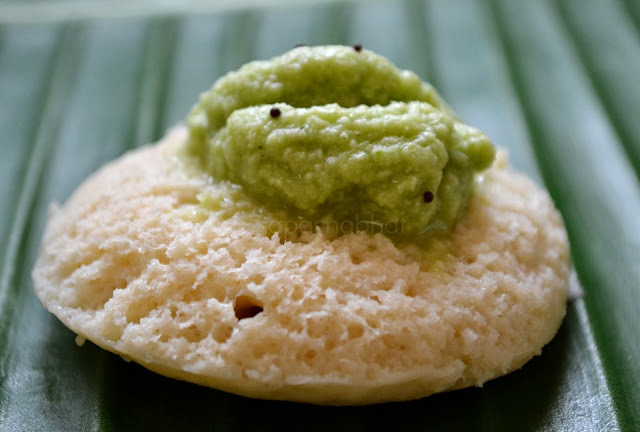 Next day, grease the idli moulds and steam like regular idlis for 10-15 minutes in steamer/ pressure cooker without whistle. Allow it to cool, unmould them and serve with sambhar or chutney or any other choice of accompaniment. You may also use split urad dal in which case the proportion would be 1.25 cups of urad to 1 cup of yellow moong dal. Please note that the batter should not over-ferment as it tends to become sour.